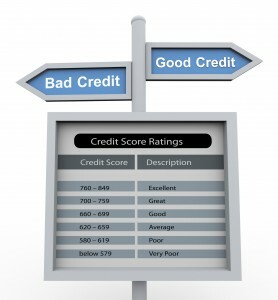 Will Closing My Credit Card Help or Hurt My Indiana Credit Score? People ask this credit question all the time and are still not sure; should we close our credit cards as a way to improve your credit score or keep them open for the fear of affecting your credit score. In some situations, the answer is YES and in others the answer is NO. Let us try our best to explain: Example, closing an account will not erase negative information about the account from your credit profile. However, there may be other reasons to close credit card accounts. Scenarios to Close Credit Card Accounts. • Creditors are apprehensive if you have too many revolving credit cards. Reducing the number of credit cards you have could improve your credit rating. • Limiting your credit card accounts can also simplify your efforts to manage your monthly credit card payments. Studies show that consumers spend more if they have easy access to a credit cards, rather than if they pay in cash. • Some credit cards have such dreadful fees and interest rates that you may want to close them before more fees and charges mount up. • You can decrease the risk of loss or theft of credit cards by limiting the number you have. • If you are delinquent on an account, and can’t bring it current or negotiate a settlement, then you may be better off closing the account yourself, before the creditor does. If you have an account with a high credit limit and no or low balance, closing the account will reduce your total available credit limits, in return lower your overall credit scores. This specially rings true if you had the account for a long time (12 years is optimal), closing it will decrease the average age of your credit history. Unfortunately also lowers your credit scores, (reason: 35% of your credit score is based on length of credit history). If you think closing a credit card account will negatively impact your credit history (perhaps because it has no balance or a low balance, or you had the account a long time), and the card doesn’t have any fees that apply unless you use it, consider keeping the account open, but stop using the card. Use it periodically, (6-9 times a year) and pay it off during the grace period, before interest is added. If it has an outstanding balance, pay off the balance first, then use it occasionally. If you do decide to close an account with an unpaid balance, keep in mind you may lose the ability to negotiate any and all terms of the credit card agreement policies regarding fees and interest rates. What this means is that you will no longer be actively using the credit card or conducting future business with them, in return they have no interest in lowering or waving any future fees or rate increases. Make sure before you close the account you have them agree to a rate freeze as long as you pay your bill on time. If they do not agree, consider keeping the card and transfer the balance to an account you are keeping. If you are seeking help on how to improve on your overall credit, let the credit professionals of InCreditable Advisors assist you today by calling us for a FREE credit analysis at 317.837.4969. InCreditable Advisors is an experienced credit consulting company specializing in credit repair, debt settlement and Business Credit. Allow our 17 years of experience go to work for you and start building for a better tomorrow.